About a year and a half ago, my husband and I had just completed a few (unsuccessful) fertility procedures and were really not feeling healthy. Most of the time. We weren’t sick, but had little energy to do anything! Before seeking medical intervention, we decided to try changing up how we ate… which led us to try The Whole30. Not familiar with it? The Whole30 is basically an elimination diet that removes all potentially inflammatory foods. It adds back good quality meats and fish, healthy fats, fruits and tons of vegetables. We saw such good results that here we are, a year and a half later, starting our third Whole30! Along the way, we have definitely learned a few things, so here are a five steps to prepare for a successful Whole30. First… Read the book. 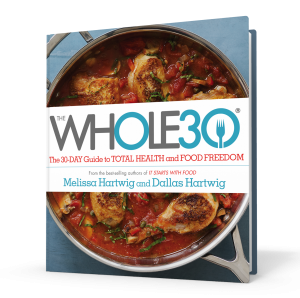 The Whole30 by Melissa and Dallas Hartwig. It goes over the whole process in great detail, and it’s easy to read! It has some great basic recipes, answers a ton of questions, and it even walks you through how you will likely feel day-by-day. And it is usually dead on. Step 2… Clean out your kitchen. Go through your pantry and fridge and take out all of the non-compliant food. Either hide it well or get it out of your house. Our first time through Whole30, I hid things on top of cabinets, and I took a bag of food to a friend’s house and asked her to hold it for me (because I didn’t want to throw perfectly good food away). A strange request, but she didn’t bat an eye. 🙂 If you are doing Whole30 solo, but live with others, then it can be more challenging to keep non-compliant food away from you. But you should still try to sequester them, if you can. Out of sight really does help with the temptations. Step 3… Find a buddy. If you are doing this with your significant other or someone else in your house, you’ll have a built-in buddy. If you aren’t, find a friend to go on the journey with you! It really helps to have someone to commiserate with when you start dreaming of chocolate cake or when you have tons of extra energy and you need to go to an extra class at the gym! You can also ask around your social network sites… You never know when a friend may be considering it or already going through their own Whole30. Step 4…. Plan! Meal planning is great to do everyday, but it is essential to do during The Whole30. You will likely cook more than normal during this journey, and meal planning ensures you have compliant recipes AND all of the ingredients for them at your fingertips. Plus, I can help you with that. 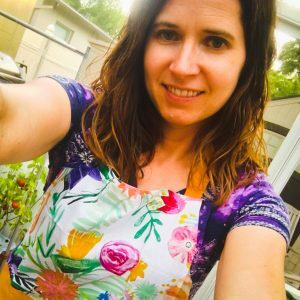 I posted full meal plans, shopping lists and prep guides during my last Whole30. So please take a look here for a Week 1 Meal Plan (and poke around the site to see the others)! There are some great recipes there… Please make the roast chicken. And the balsamic braised short ribs. So yummy! Step 5… Commit. To the full process. The Whole30 is not for the faint of heart. It takes away some serious comfort foods and highlights not-so-great habits. But it allows you to really learn how you feel about food. By the end, it will not only show you which foods agree with your body (and which don’t… Grains… and to a lesser degree Dairy, for me), it will allow you to redefine the relationship you have with food. It is a process but I promise it is worth it. So before you start, figure out WHY you want to do this. Write it down and post it somewhere you will see it multiple times a day. It’s like reminding yourself that it is worth it. This last step is by far the most important. If you focus on WHY you chose to do Whole30, and it is a good reason that really resonates with you, success will be no problem! « Starting The Whole30… Unprepared! What about feeding the kiddos during the 30? I feel like this will be the hard part for me to figure out & if I keep things for her, I will be super-tempted and/or thoughtlessly cave. This is a tough balance to find. We don’t restrict our son to Whole30 foods.. However, some of his snack options change to keep foods we KNOW will be triggers out of the house. No popcorn or tortilla chips or Triscuits allowed here, because we know we will want them. He eats mostly what we do for meals (supplemented with cheese or yogurt, if it’s something I KNOW he won’t eat). I also keep his snacks in an area he can reach, and not with our approved snack foods, so they don’t tempt me when I get peckish. But it is a challenge and I’d love to hear how you tackle it!